Overall, 159 people attended the conference, with 143 people attending on December 6th and 119 people attending on December 7th. 103 people attended both days of the conference. We asked conference attendees to fill out an evaluation form and received a total of 100 responses, for an approximate response rate of 63%. What was your primary reason for attending the conference? * Written-in topics were: Correctional education; Trends and outcomes for various populations (e.g., low-skilled adults, young adults, English-language learners); Numeracy; Parent literacy; Adult basic education and career pathways; Financial literacy; and All topics of the conference. ** Other responses included: Attended a PIAAC workshop; To learn how PIAAC is used in different research areas; and To see how the survey could be strengthened. How do you define yourself primarily? 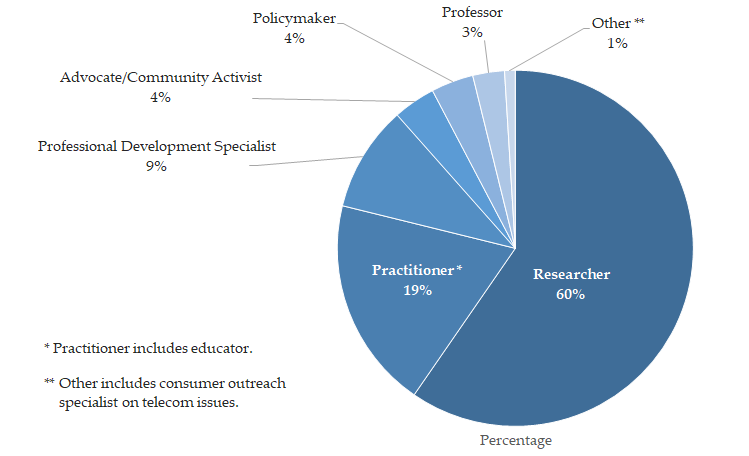 NOTE: About 5 percent identified themselves with more than one category. These are included as separate cases in the total count. How valuable were the following parts of the conference to you? 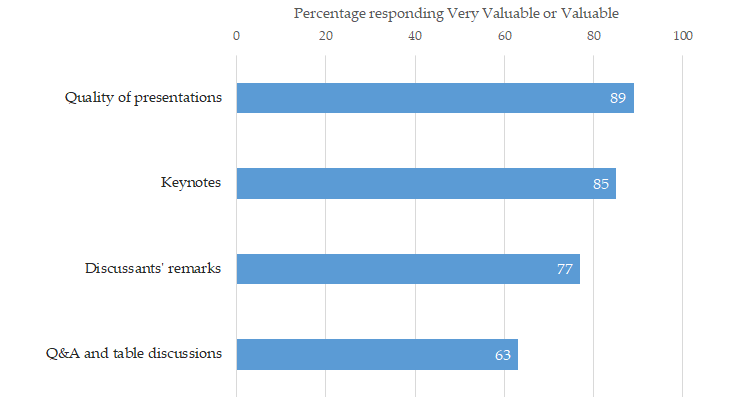 NOTE: About 6 percent of the respondents marked Keynotes as not applicable. NOTE: Between 1 and 2 percent of respondents marked each of these responses as not applicable. NOTE: About 14 percent of respondents marked "Use PIAAC data to conduct my own research" as not applicable, and about 5 percent marked "Review PIAAC results and presented papers to examine their policy implications" as not applicable. 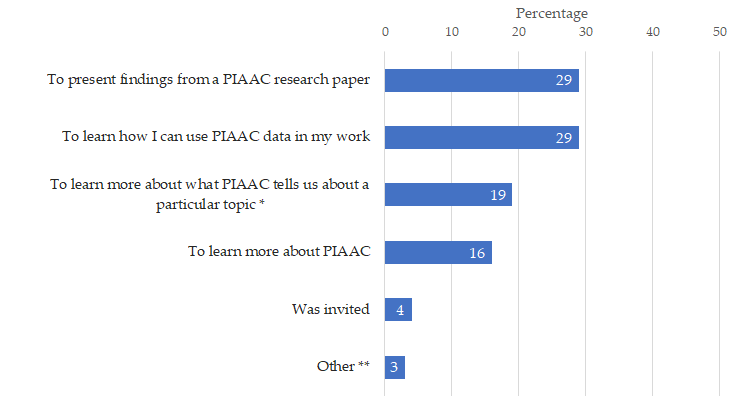 Two percent of respondents marked "Spread the word about PIAAC data" as not applicable. Return to the main 2018 PIAAC Research-to-Conference page.